Bernie Carbo hit one of the biggest home runs in Boston Red Sox history, a three-run, pinch-hit shot in the bottom of the eighth inning during epic Game 6 of the 1975 World Series. In 1989, Sam McDowell saved his life. They called him Sudden Sam, and in 1965 while pitching for the Cleveland Indians, Sam McDowell led the American League with a 2.18 ERA, and in 1968 he lowered it to 1.81, and in 1970 he won 20 games and pitched 305 innings. When you no longer could hear his fastball sizzle from the center-field bleachers at cavernous Municipal Stadium, Sudden Sam still was sudden enough to notch a few saves as a relief pitcher. But the saves he spoke of at a Starbucks during the Baseball Winter Meetings at Mandalay Bay aren’t included in his baseball-reference.com totals. They occurred after he had been kicked out of baseball for being a drunk, and after he quit drinking and went back to school so he could counsel other ballplayers who were like him. One late night he received a phone call from Joe Garagiola Sr.
Bernie Carbo hit one of the biggest home runs in Boston Red Sox history, a three-run, pinch-hit shot in the bottom of the eighth inning during epic Game 6 of the 1975 World Series. In 1993, after he had rigged his car with an exhaust hose and went inside for a last beer and joint, Sam McDowell saved his life. For the next hour, McDowell talked about the baseball lives he has saved and influenced as a crisis counselor for the Baseball Assistance Team (BAT). He also said he hasn’t had a drink since 1979. Sudden Sam McDowell, 76, seemed way more proud of both than of his 1.81 ERA in 1968, and a fastball you could hear sizzle from the center-field bleachers. 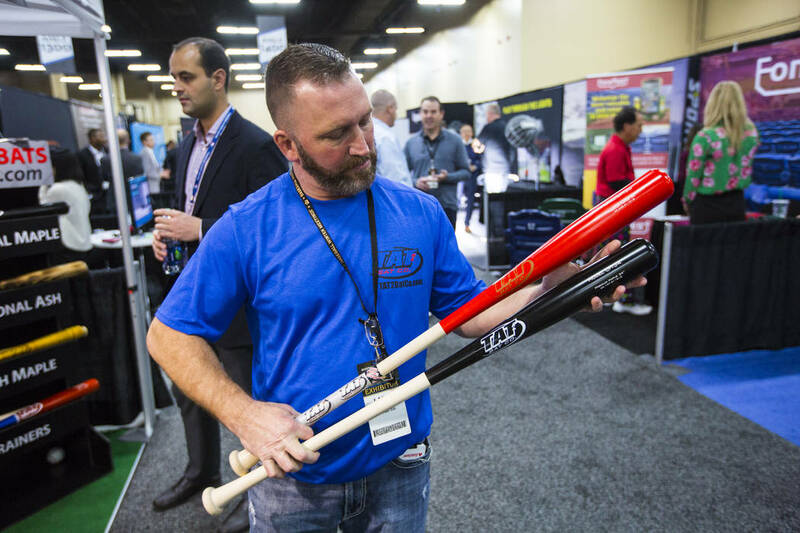 To mimic boxing announcer Jim Lampley after Big George Foreman knocked out Michael Moorer at the MGM Grand in 1994, it happened: A fungo bat finally was found at the trade show at the winter meetings — on the last aisle during the last hour at the Mandalay Bay convention area. Larry Thein, one of three owners and employees of the Tat2 Bat Company of Davenport, Iowa, even offered to make a fungo bat in my school colors with my school logo and give me the team price. Three years ago, Thein and partners Scott Williams and Juan Goitia, a former shortstop in the Mexican League, turned their first bat in a hog barn in Delmar, Iowa. Now they are a step away from becoming a certified Major League Baseball bat supplier. They are hoping to be approved before pitchers and catchers report to spring training. They also are hoping they will be assigned an aisle closer to the door at next year’s winter meetings in San Diego. With all due respect to J.T. 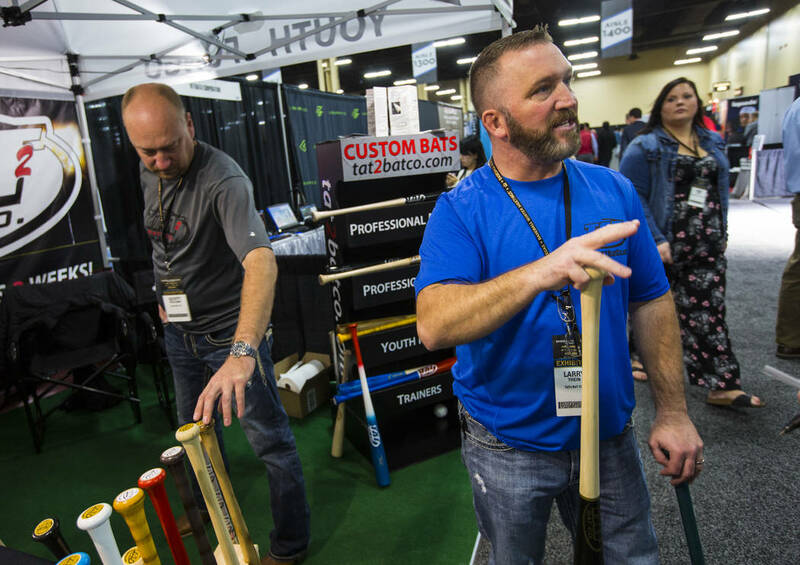 Realmuto trade rumors, one of the best stories of these meetings was three booths down in Aisle 1400, where a diminutive second baseman for Los Altos High in Hacienda Heights, California, was swinging a bamboo bat given to him by the Tat2 Bat Company. Steven Mondragon has neuroblastoma, a cancer of the nervous system, but it’s in remission. He was guest of the Youth Cancer Baseball Tour, founded in 2001 by a man named Greg Durfee, who has taken more than 500 youngsters and their families to major league ballgames, and a few minor league ones at Cashman Field. I spoke to little Steven and his father, Ben, shortly before super agent Scott Boras updated reporters on the free-agent status of native son Bryce Harper in front of a 25-foot Christmas tree. Any guesses as to which experience was more rewarding? “Late Wednesday morning, as baseball’s winter meetings slogged to their grim and quiet conclusion, Scott Boras stood on a raised platform in front of a 25-foot fake Christmas tree steps away from a casino in the middle of the desert. “Marlins Man — accessorizing his orange MARLINS MAN jersey with a backward visor — rummaged around the pack of reporters to get just the right angle for his photos. The reporters, arranged in a semicircle 10 deep, leaned this way and that in a futile attempt to hear whatever it was the super-est of baseball’s super-agents was saying. TUNE IN – Scott Boras' annual media session is airing now!